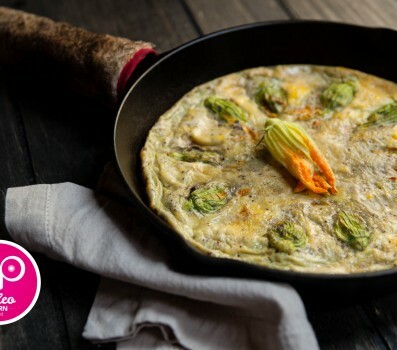 Paleo Food List > Are Squash Blossoms Paleo? Squash blossoms are orange/yellow colored flowers about four inches long. They have fragile, paper-like petals and green leaves. They are in season when summer squash and zucchini are. Only the female squash blossoms mature into squash. The male squash blossoms exist to aide in the fertilization process. The males also happen to outnumber the female flowers. Both are edible however with all the leftover male flowers, it makes them easy to pick, clean and eat.